PHOTOGRAPHS: The top two images show the patient post treatment with oral architecture and lips restored. The bottom image is pre treatment. 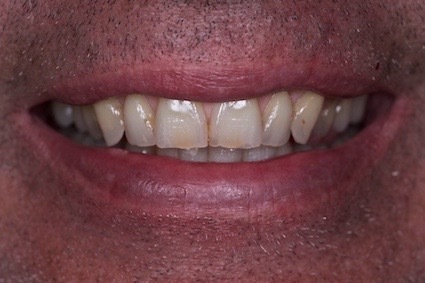 This patient’s restoration involved replacement of long term and very worn dentures. These particular cases are always challenging due to collapsed occlusion (bite) and reduced facial support. Here is a great example of the Lovebite ‘Oral Lift’ in action. The overall appearance of the patient post-treatment (in the top image) speaks for itself in his more youthful appearance and improved facial structure, as compared to the pre-treatment photo below. 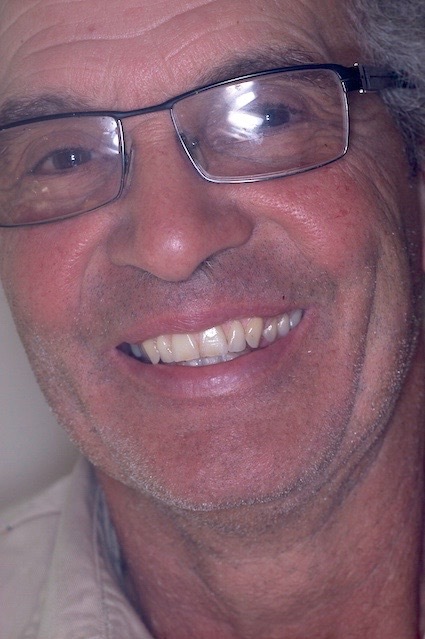 The patient requested the ‘non-generic’ denture look. 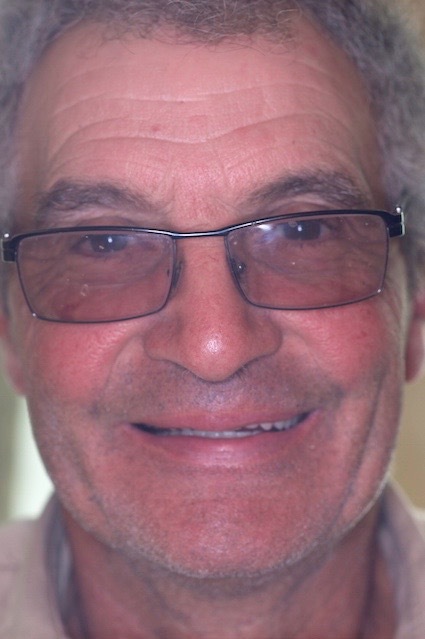 His ruggedly-handsome appearance post-treatment is a testament to the natural results Richard strives for, along with the perfect fit.